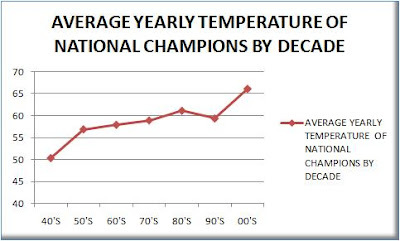 3) Average the “temperature of champions” by decade to see if it was trending one way or the other. OMG! 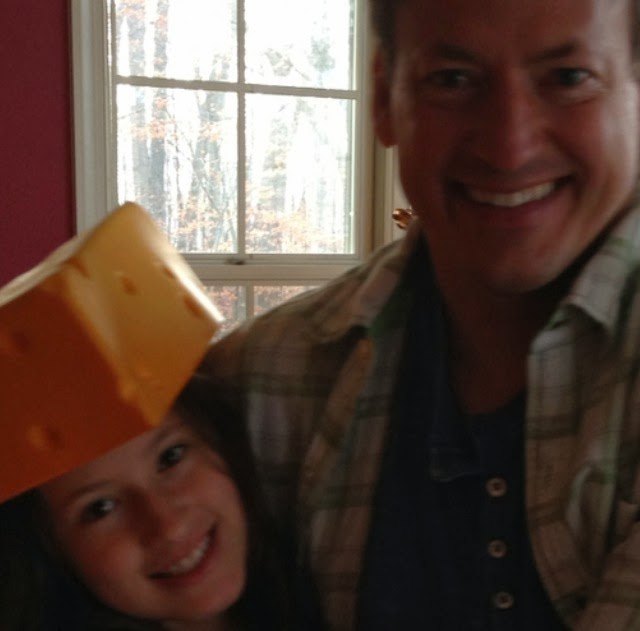 Where's Al Gore? Does that mean global warming is affecting football? Say it ain't so! You'll notice that the average temperature has risen pretty steadily with one exception: the '90s. Nebraska had something to do with that. Simply beating Miami in the 1995 Orange Bowl was enough to make this decade slightly "colder" than the previous one. If the 'Canes win, it too is slightly "warmer." 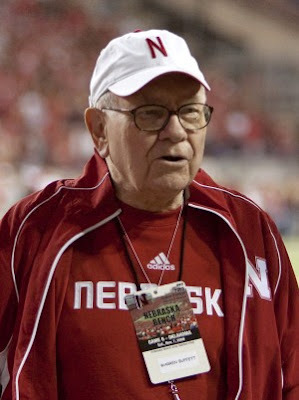 Maybe someone should ask Warren Buffet what he thinks about this trend!